Always looking to broaden our horizons, we were recently sent samples from the Tenuta Cavalier Pepe winery in the Campania region of Italy (just above the “toe” of Italy’s boot if you will.) Their vineyards are set at a generally high altitude of ranging from 350-500 meters above sea level and the 40 hectares they occupy cover several different soil types ranging from clay to calcareous to a bit sandy. The winery has and continues to be a family operation with patriarch, Angelo Pepe originally founding it and his daughter, Milena starting to take over operations these days. Italy’s wine regions can be a bit confusing as they have sub-regions within other regions. As it sits, this winery produces wines in the DOCG’s of: Greco di Tufo, Taurasi, and Fiano di Avellino. These are actually the only DOCG (the more common classification is DOC) regions in Southern Italy. 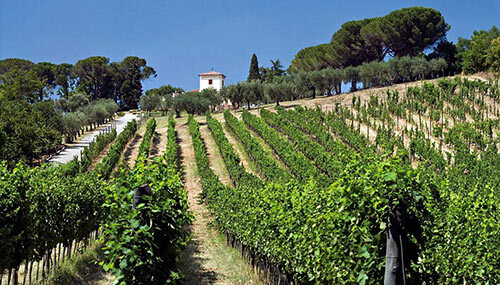 In addition to other grapes, Tenuta Cavalier Pepe makes use of the local varieties of white Anglianico, Fiano, and Greco for their white wines as well as red Anglianico for their red wines. Lila 2012 shows white melon in the nose with white peach and strawberry notes emerging. Lightly sweet the body but it still maintains tart acids. Generally buttery in the body as well, it carries the melon notes in to the finish. As it breathes, despite being a young wine, it grows great complexity in the body. 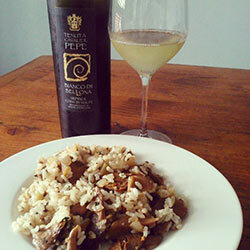 Bianco di Bellona 2012 has a mineral nose with hints of lavender, honey, and orange blossoms. Light in texture with touches of white peach and hazelnuts to the body. The wine can come across as somewhat simple initially, but it’s incredibly easy to drink and pair with meals. Refiano 2012 starts out with a bit if ashy mineral notes that come in to the oily texture of the body. Apricot and chalk on the nose with a touch of earthiness. Overall quite neutral in the body with tart acids. Lime, chalk, and flint/graphite emerge with air. An energetic pep of lemon peel emerges as it opens more. Nestor 2012 blunted beeswax with tight citric aspects. Wonderfully light minerality that doesn’t dominate the wine. Bright and crisp in the mouth with no end of buoyant, happy acidity. Light flash hints of spring blossoms that, along with the acidity carry in to the finish. Perhaps a little lactic as it opens up. Tenuta Terra del Varo 2009 shows off hits of white pepper and fennel with a brush spiciness to the nose but it manages to stay quite evenhanded overall. Touches of cranberry and red fruits come up as well. It’s boasts the well crafted light, red fruits in the body with touches of flint and a kick off spice and acidity in to the finish. The fruit is very well presented and not hidden under aging. Santo Stefano 2009 shows off slight mineral and fresh sage to the nose. Light but spicy in the body with licorice notes that carry in to the finish. Another great meal wine that develops quite well with decanting. Opera Mia 2008 Dark cherry and light chalky notes in the nose. Rich and spicy in the body with mineral elements and cherry notes from the nose. Bold tannins in the body with an underlying strong acidity. Black pepper develops with air and the whole wine evens out from start to finish. A knock out red made from grapes picked at the start of November! Many thanks to Giulia Cannada Bartoli at Le Officine Gourmet for coordinating the tasting samples.